4-star Hotel Eden is a luxury hotel rising in the center of Sirmione a short distance from the famous Castello Scaligero. 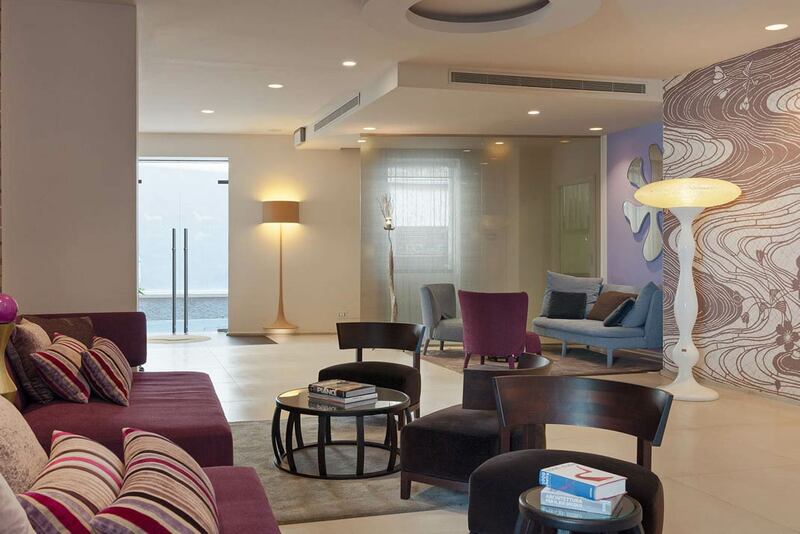 Eden Hotel has wholly been renovated to become what it is today: a modern and design property. The hotel provides 30 70s-style rooms redesigned according to modern standards. 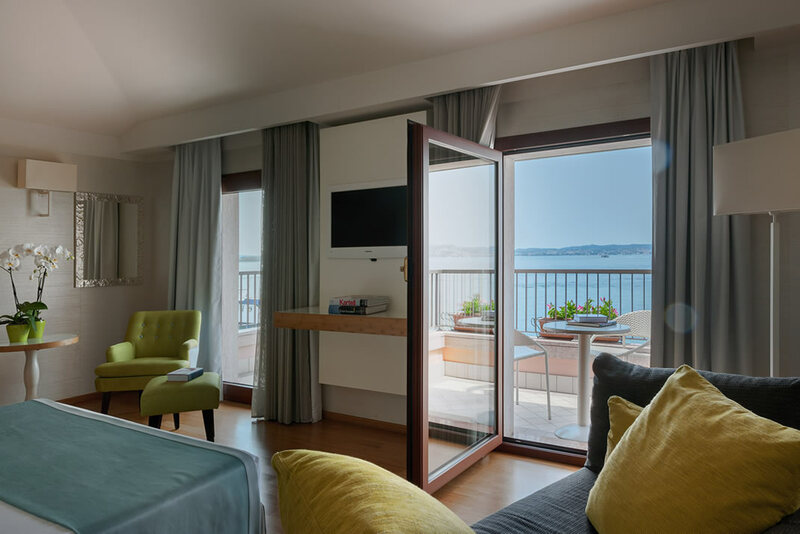 Classic rooms overlook the gracious medieval alleys of Sirmione’s town center, and come with small armchairs and a desk. Quality rooms stands out for their wonderful lave-view balcony, the parquet flooring and their warm and relaxing hues. Prestige rooms also enjoy a panoramic balcony, are slightly larger than Quality rooms and can host a third bed. Lastly, Junior Suites come with balcony and a panoramic view of the lake and can comfortable accommodate up to 4 persons. They are en-suite with parquet, small armchairs, table and private bathroom. The ultra-elegant Lounge bar is an environment designed to the tiniest detail with refinement and style. The warm and relaxing atmosphere invites guests to take a seat in the utmost comfort and taste their favorite cocktail. Every day between 3.30 and 5 pm we propose Tea Time, a special moment to sample a hot tea and eat some sweet delicacies. The breakfast hall is wide, modern and bright. Every morning, our buffet brims with sweet and savory specialties gladly accompanied by hot and steamy cappuccinos, coffees, chocolate or fresh and tasteful fruit juices. After breakfast, where hunger resurfaces, you will find our snack bar open round the clock serving nibbles, Mediterranean dishes and soft drinks. The Terrace-porch of the hotel offers a front-row seat facing the wonderful Lake Garda. The armchairs and sunbeds are surrounded by greenery and well-kept flowerbeds. When the sun shines, it is a pleasure to enjoy the lake breeze and chill our leaving every worry behind.